Historic Alhambra Theater to become a … Swim park? Plans to turn the inside of the blighted Alexandria Theater into an aquatic center are gaining steam to the delight of some in the Richmond District, even if indoor swimming was not the future everyone imagined for the vacant building. 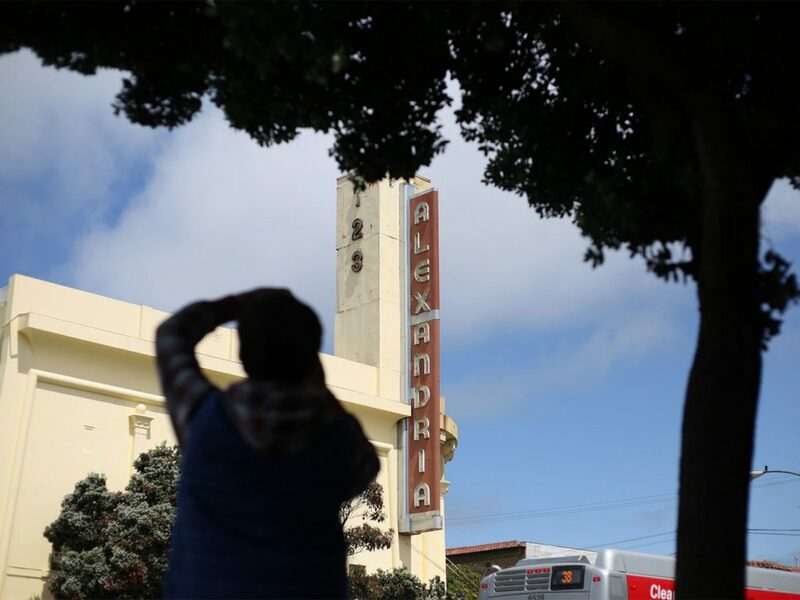 The historic theater has become an eyesore and occasional safety hazard on Geary Boulevard since it closed in 2004, attracting graffiti, squatters and shady dealings as different owners failed to move forward on plans to fill the building. But the latest owner, TimeSpace Group, LLC, is intent on following through with plans to dig out two swimming pools on the first floor of the theater and add classrooms and office space on the second and third floors, according to founder Yorke Lee. Lee filed initial plans for the project in December. Last month, the Planning Department responded to the Preliminary Project Assessment application and said the owners need to file Conditional Use Authorization and building permit applications for the swimming pools and learning center. City planners also said the project will require a new bulbout on Geary Boulevard and 18th Avenue. Supervisor Sandra Fewer, who represents the Richmond District, said she is confident in the new owners. Fewer said she thought the notion of a swimming pool on Geary Boulevard was at first “a little odd,” but she has since warmed to the idea. The art deco theater was built in 1923 with an Egyptian theme, reportedly designed by James and Merritt Reid, the two brothers behind iconic buildings like the Cliff House in San Francisco and Grand Lake Theater in Oakland. The theater has had three owners since it closed. 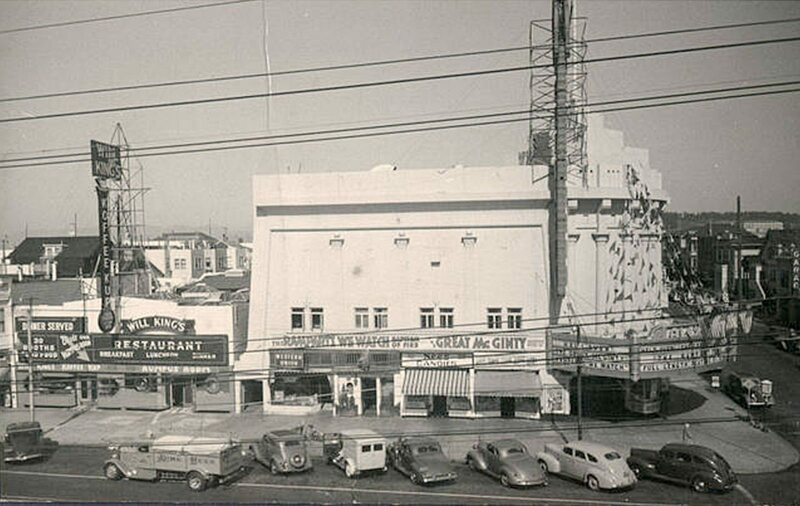 The owners before TimeSpace, a company called Alexandria Development Group, planned to restore the theater and add a restaurant. The previous owners sold the building to TimeSpace in 2015. While the deed changed hands, the Richmond District YMCA eyed the property as a place to expand its exercise classes and offer swim classes, according to Executive Director Andrew Ward. Ward said the Richmond YMCA could benefit from room to grow and hopes to partner with TimeSpace. TimeSpace Group also owns the Saratoga Star Aquatics and Milpitas Star Aquatics and Fitness Center. Last year, the San Jose Mercury News reported it tried to expand its Milpitas location, but safety and parking concerns put the proposal on hold. The San Francisco proposal is part of larger plans that include redeveloping the parking lot behind the theater. The company already has approval from city planners to build condos on the lot, which are currently under construction. Geary Boulevard merchant David Heller said he thinks the proposal is a “dynamite idea” for seniors, children and the community. Lee, the owner, said the aquatic center will be open to the public. The company is still hashing out the details of the project and Lee could not share more about their plans, he said. The owners have until Sept. 8 to file for the Conditional Use Authorization and building permit.